ATLANTA (September 15, 2017) – Georgia Aquarium, the largest aquarium in the Western Hemisphere, and Red Brick Brewing Co., Atlanta’s oldest operating craft brewery, have entered into a long-term partnership to release seasonal craft beers. The two entities will release beers with flavor profiles appropriate for each season. Each brew will be named for a specific species found at Georgia Aquarium, with a portion of sales helping to fund the aquarium’s global research and conservation on behalf of that season’s animal. The two companies decided to form the partnership following the success of this past summer’s Whale Shark Wheat, which sold out in a matter of weeks. 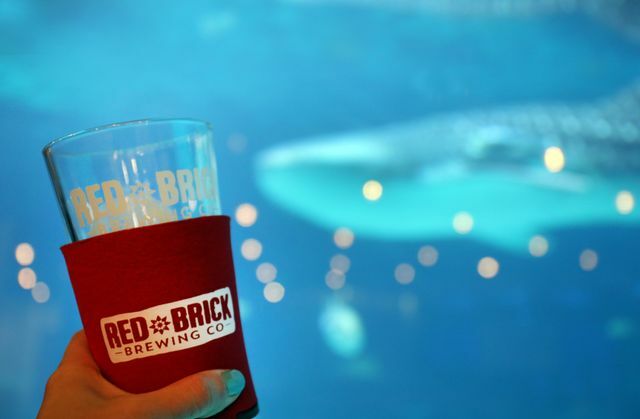 Both companies share a commitment to conservation and environmental efforts - Georgia Aquarium strives to be a leading facility for aquatic animal conservation and research and Red Brick Brewing Co. aims to be a leader in the U.S. craft beer industry as an environmentally-responsible brewery. Recognizing this shared commitment and the market’s taste for seasonal releases that support a local non-profit’s global work, Red Brick and Georgia Aquarium formalized their collaboration through summer 2018. The next limited-edition release, Penguin Pale Ale, will hit shelves in the fall, highlighting the endangered African penguins that reside at Georgia Aquarium. A portion of Penguin Pale Ale sales will go towards Georgia Aquarium’s African penguin conservation efforts, including breeding and rehabilitation programs and research into diseases and environmental conditions that impact the population. Consecutive releases are scheduled for winter, spring and the return of Whale Shark Wheat in summer 2018. 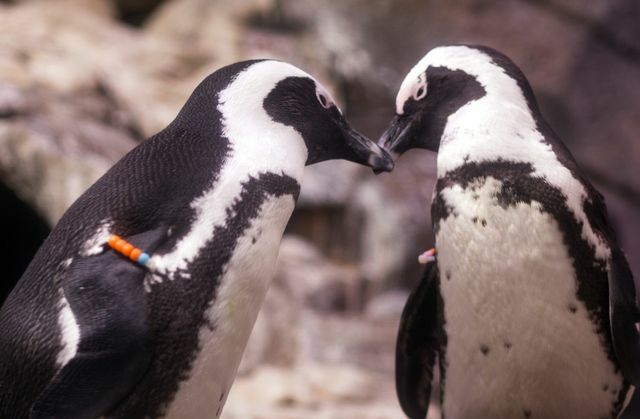 African penguin populations have dropped 60 percent in the last 30 years and the species is now considered endangered. Many of the penguins on exhibit at Georgia Aquarium are part of a Species Survival Plan (SSP) coordinated by the Association of Zoos and Aquariums (AZA). These plans promote genetic diversity within populations of endangered species residing in zoological institutions by selective and strategic breeding. Georgia Aquarium partners with the Southern African Foundation for the Conservation of Coastal Birds (SANCCOB) in Cape Town, South Africa. 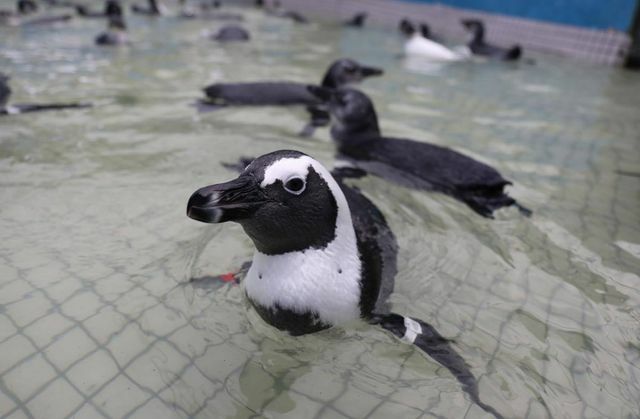 Georgia Aquarium assists SANCCOB with rescue, rehabilitation, and release of African penguins and other coastal birds. In 2014, Red Brick announced its decision to move from bottles to cans for its entire line of core and seasonal beers. Aluminum cans are durable, easy to transport and recycled more often than any other beverage container. Cans are also good for the overall drinking experience since they keep beer fresher longer by eliminating light exposure. The can connectors of Red Brick beers are eco-friendly and made from photodegradable material that does not pose a threat to animals in the oceans. Penguin Pale Ale is a contemporary pale ale with 5.7 alcohol by volume and will launch on September 28, 2017 with a public event held at Red Brick Brewing Co. from 4 p.m. to 9 p.m. The beer is a limited-edition release and will be available on draft at Red Brick beginning on Sept. 28, 2017 and in select stores on Oct. 2, 2017. For more information on Red Brick Brewing Co. please visit www.redbrickbrewing.com, and for Georgia Aquarium’s African Penguin research and conservation efforts, visit www.georgiaaquarium.org/conserve/caring-for-animals/caring-together-for-african-penguins.